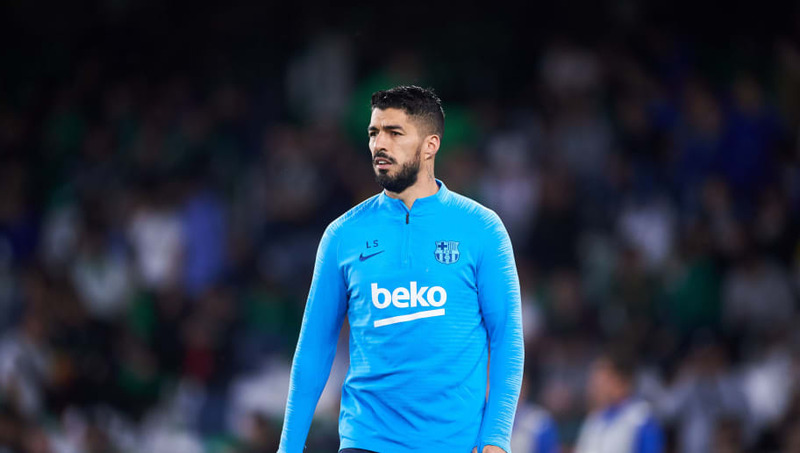 ​FC Barcelona have revealed that striker Luis Suarez is set for up to 15 days on the sidelines following the ankle injury he sustained in the 4-1 victory over Real Betis on Sunday night. In a statement, the club said: "Tests carried out on Monday morning have confirmed that first team player ​Luis Suárez has a sprained right ankle. He will be out for 10-15 days and now undertake his recovery with the FC Barcelona medical team, having been withdrawn from the Uruguayan national team squad. "Suárez was taken off late on in the 1-4 win against Real Betis at the Benito Villamarín, having scored his side's third goal and provided an assist for ​Leo Messi, and was replaced by Carles Aleñá. "His goal was his 18th in ​La Liga this season, and he is the second top scorer in La Liga behind only Messi (29). It also took him level with Diego Forlán as the Uruguayan with the most goals in the division of all time, with 128." Barcelona's statement has allayed early fears that the striker ​could miss the Champions League quarter final first leg with Manchester United on 10 April.